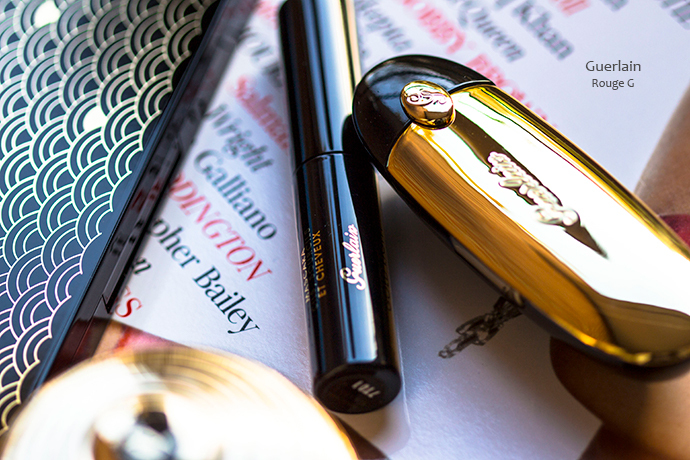 Guerlain’s Holiday Collections are always beautiful, perfectly curated and with just a few products that guarantee a feminine and sophisticated look not only during the Winter holidays but anytime. This year, however, Guerlain really excelled itself (in my opinion). 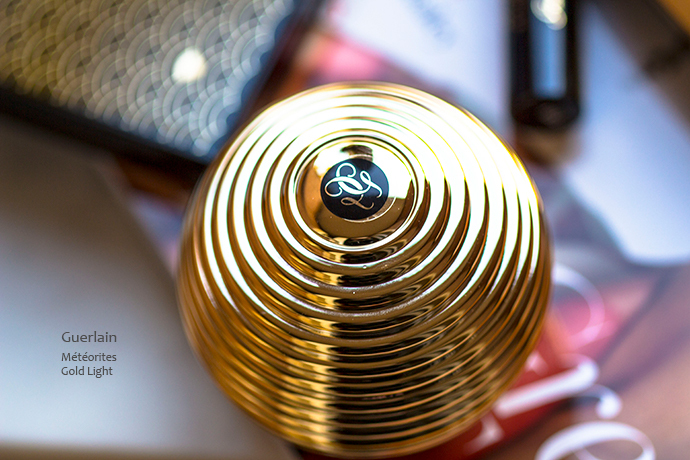 Guerlain Holiday 2017 Collection is inspired by the Roaring Twenties (les Années folles), which, for me, is the most beautiful, elegant and creative period ever. The most luxurious and fun Christmas and New Year’s Eve parties took place during the 1920s and who can celebrate this period better than Guerlain. This collection offers magical makeup, precious objects and jewellery-like packaging. 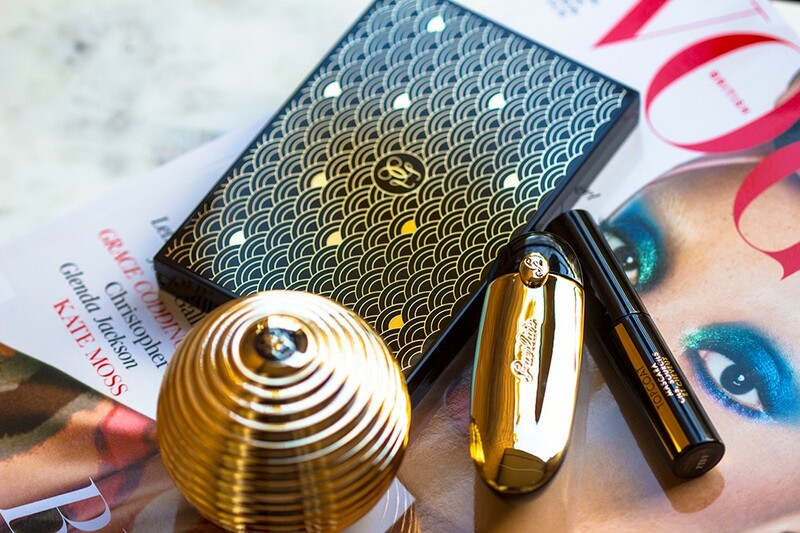 The black-golden makeup cases which imitate the original vanity boxes are so luxurious and the Art Deco details are just perfection. 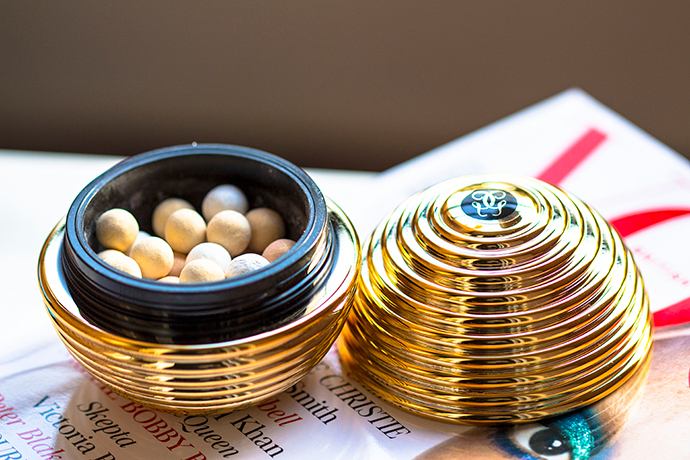 Even if you are not a Guerlain fan, it’s impossible not to love this collection. Each item is a must-have and definitely a collectable piece. 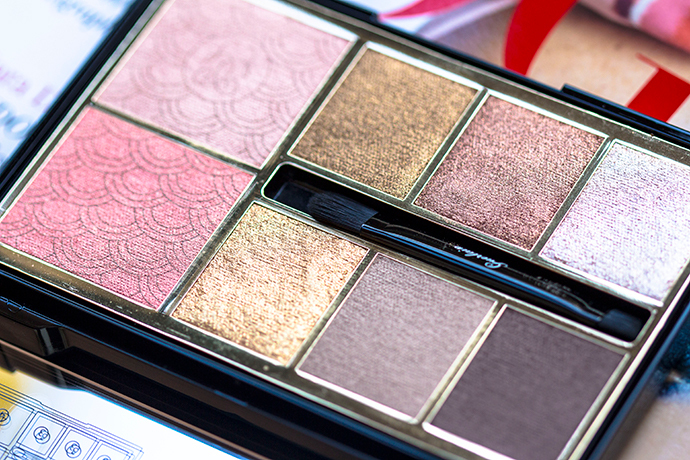 Palette Gold Multi-Use Palette (€78,00) | What a beautiful palette! 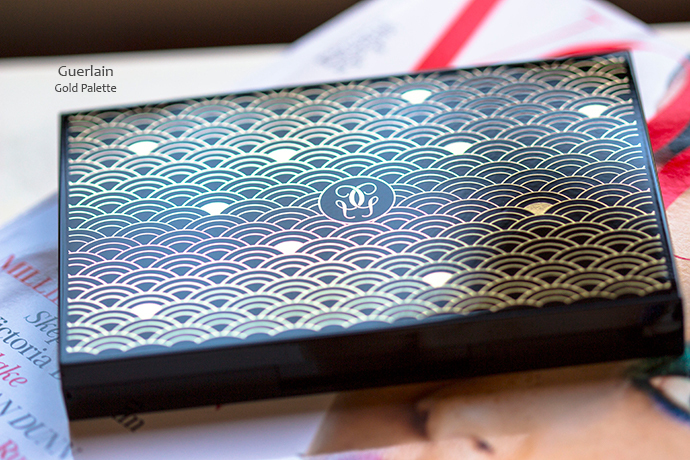 It reminds me of a 1920s cigarette case made from onyx and gold. 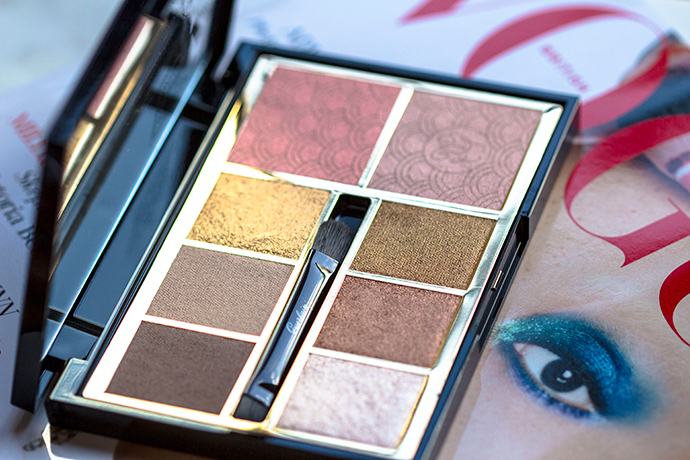 Not only beautiful, the palette is also very practical since it can be used on the eyes, brows, lips, as a highlighter and a blusher; the shades can be used wet or dry. 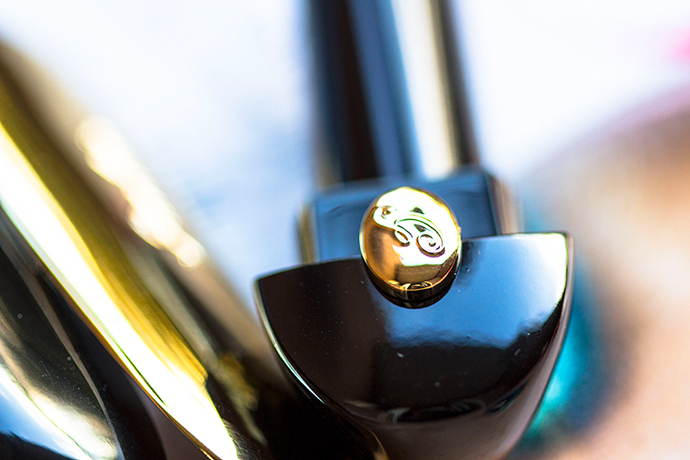 The black lacquered casing includes a large mirror on the inside along with a small dual-ended brush. There are 2 blush shades — one deeper and the other lighter which can work either layered on top or alone as a very subtle highlighter; there are also 6 eyeshadows — 2 matte and 4 with varying degrees of shimmer, with the darkest eyeshadow colour doubling for eyebrows. All shades are very pigmented and with a staying power that lasts true without fading until removed. 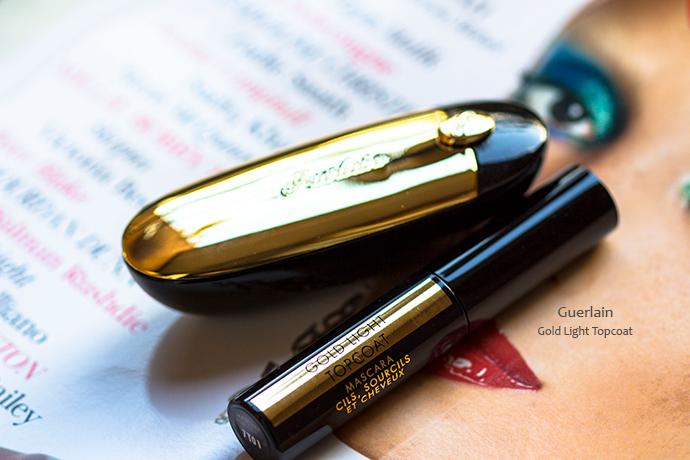 Gold Light Topcoat Mascara (€29,00) | This mascara container makes me think of a 1920s cigarette holder made from onyx! 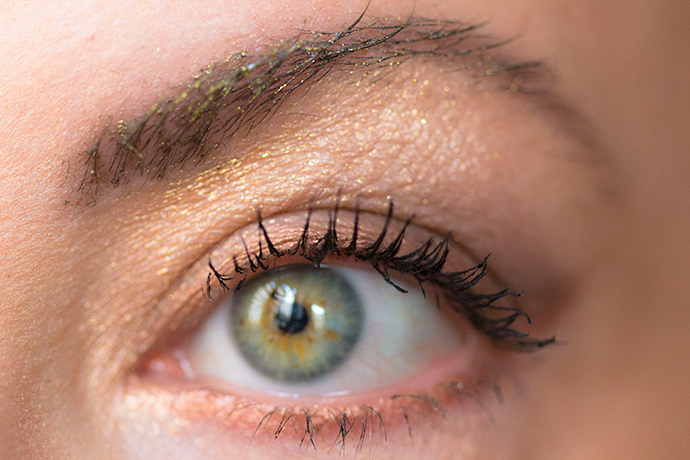 This golden top coat is designed for eyelashes, eyebrows and hair. The gold flakes are incredibly fine and disperse easily from the brush without laying down in clumps. 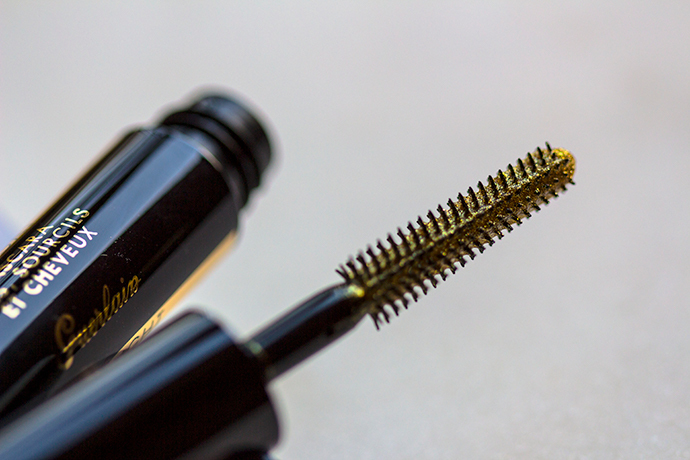 It doesn’t work in my case as a mascara, however I love to apply it on my eyebrows because it offers a subtle glitter and keeps them in place. Rouge G N°822 Glamorous Cherry (€49,00) | The most luxurious lipstick ever is designed by one of Paris’ most talented Place Vendôme jewellers, Lorenz Baümer. 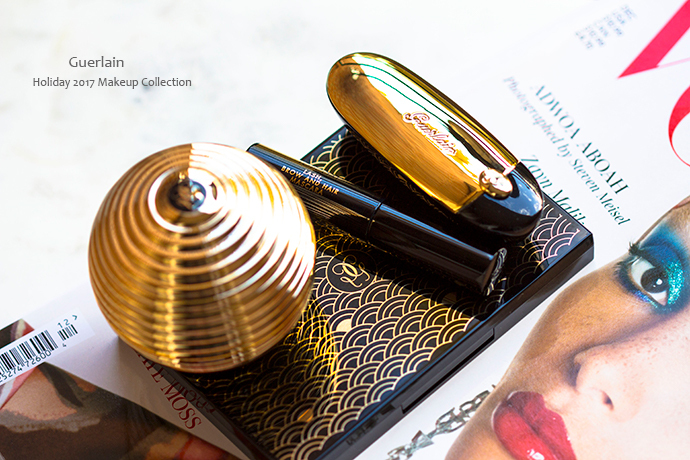 The heavy casing comes with its own integrated pop-up mirror and this holiday version bears a black backing and cap to compliment the gold. It makes me think of the beautiful Art Deco Cartier vanity box made from gold and diamonds. 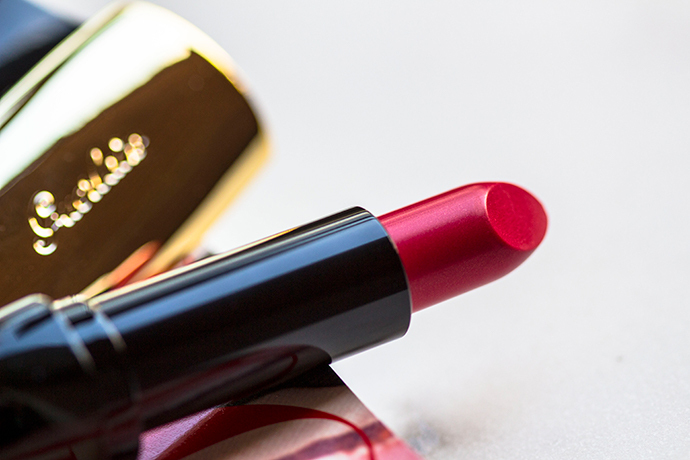 Guerlain’s Rouge G formula is pure luxury, too; intense saturation, rich shine and hydration throughout the wearing. 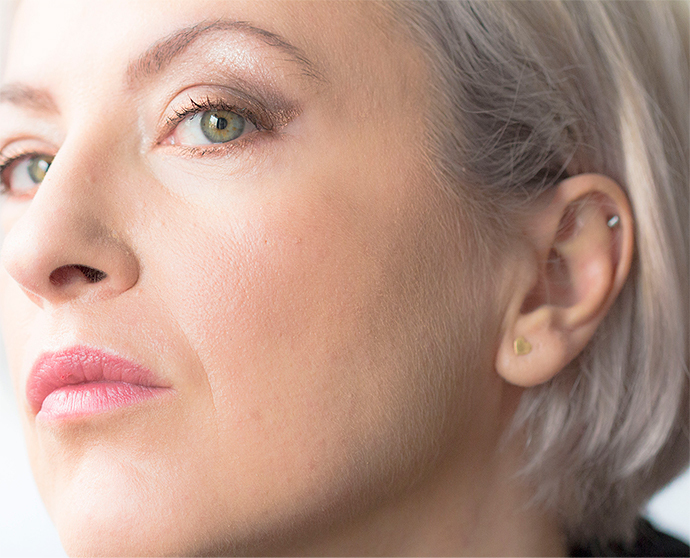 This cherry hue lasts beautifully without bleeding into surrounding lip lines and might need a touch up after eating. 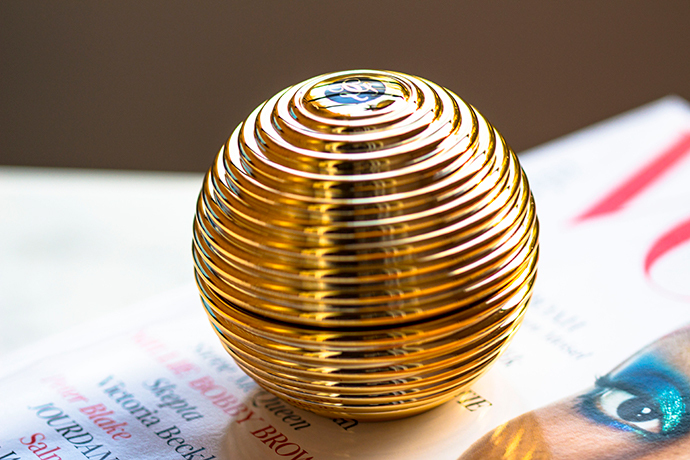 Météorites Gold Pearl (€59,00) | I’m usually a fan of the Météorites metal cases however the plastic ribbed golden orb from this collection is so beautifully craftet. It reminds me of a beehive (emblematic of the House) and also of a 1920s sniff box. 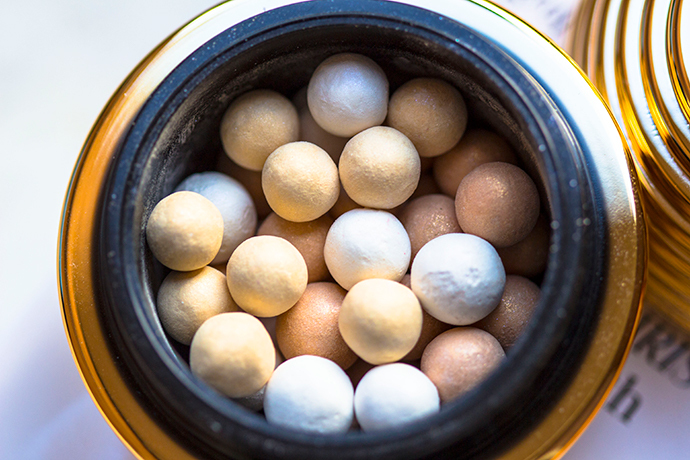 This finishing powder is meant to set the makeup (the gold pearls help to warm up the skin and counter dullness, while the champagne and white pearls help to reflect light) however it’s pretty much impossible to describe how an invisible powder can actually make skin look so wonderful. 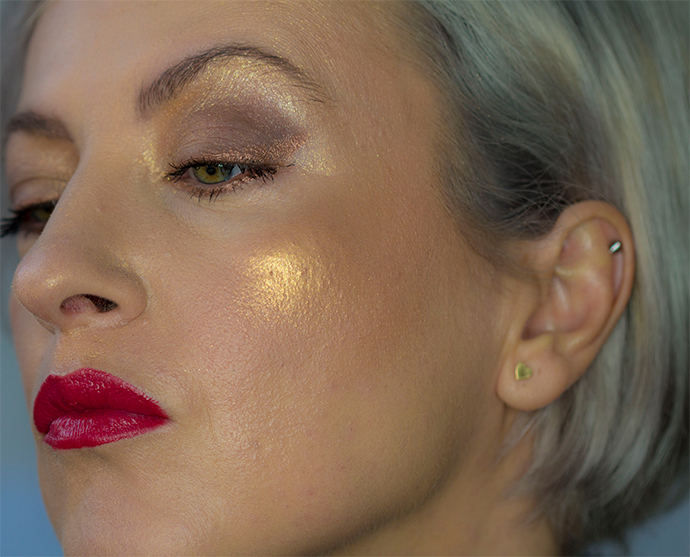 The Stardust technology works, the powder minimises imperfections, illuminates while offering an incredibly subtle golden glow. 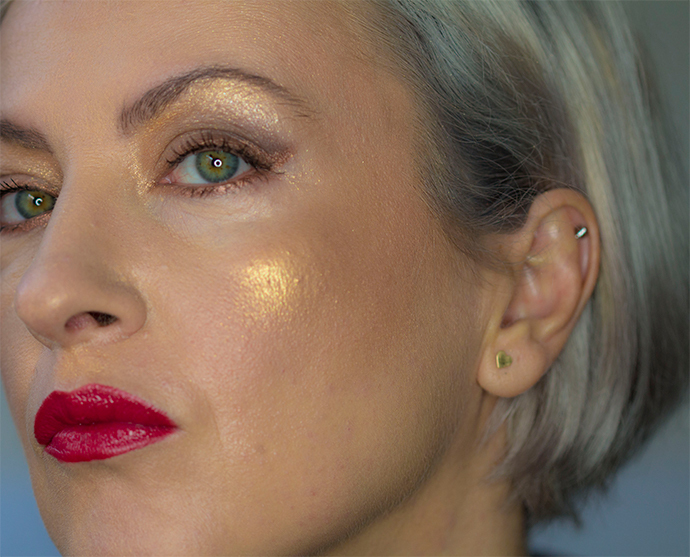 Swatches alone cannot do justice to this beautiful makeup collection, so I came up with a DAY to EVENING look using entirely Guerlain products. These looks are great for Christmas parties at the office; they are also perfect for the busy business ladies who go out directly after office hours and want to create a more intense evening look on top of the day look. On the lips I’m using Kiss Kiss Creamy Shaping Lip Colour in 520 Fall in Red. This look was created on top of the LOOK 1! On the brows I’ve applied the Gold Light Topcoat Mascara. Arata de milioane, colectia, dar si machiajele!! Personal as aplica mai putina pudra iluminatoare in zona obrazului, in rest as incerca aceeasi combinatie de culori. I like a lot how you presented the looks and the products. I am still not decided to buy or not this palette, but the new Meteorites format is more attractive for me. I love that evening look you created! 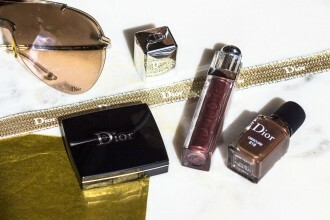 It’s so pretty and these products look amazing! This new palette looks fantastic. I love how versatile the colours are. I’d love to try this. This is such a pretty collection! The packaging it comes in is so glitzy and marvelous! Oh my goodness what a beautiful collection I am in love with that palette in particular I would love to have that in my life! I like the palette of these products. The packaging is so pretty. I love the look of the makeup collection here. I am sure my daughter would like something like this. The palate of colors looks beautiful too although I am curious to think about what my daughter would think of how the gold mascara applied. 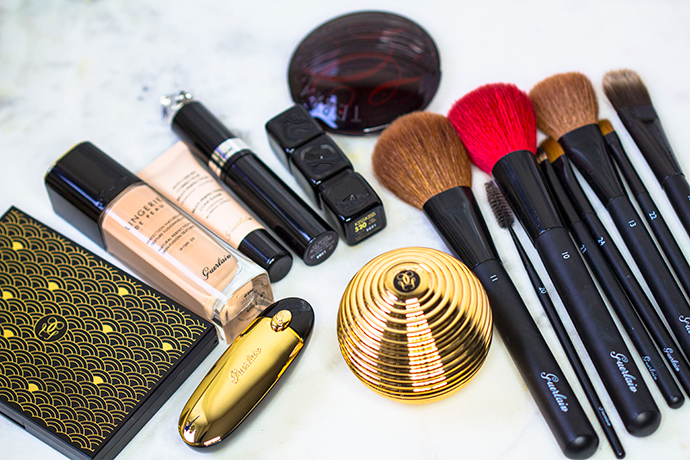 I love the classic look of black and gold in this make.up kit. Another addition on my list, you have presented this product well and it looked really nice on you, the color just blended well.